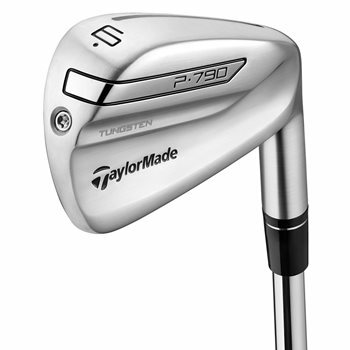 The TaylorMade P790 irons meet the demands of better players and provide unprecedented distance in a forged iron, has the look and feel of a players iron and delivers forgiveness and playability. The P790 irons feature a wrapped face construction with ultra-thin leading edge and SpeedFoam Technology which serves a dual purpose of generating ball speed as well as optimizing sound and feel. For forgiveness and playability, the irons feature strategically placed tungsten weighting for precise CG placement and higher moment of inertia (MOI). Review by 2111, 1 year ago. Review by Mun2111, 1 year ago. Send your answers to previous email to markvosika@hotmail.com please. Is the UST Mamiya Recoil 760 ES Graphite Regular Flex a F2 or F3? Unfortunately, due to the size of our inventory and multiple shipping locations, we are unable to provide actual pictures of specific sets.